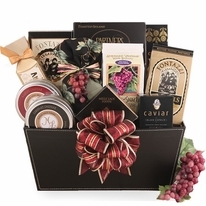 Measures 16" x 13" x 5"
An upscale selection of wine and gourmet treats that puts other wine gift baskets to shame. 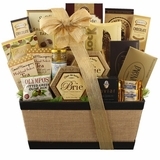 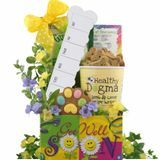 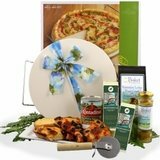 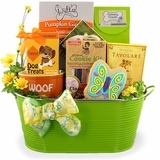 The Wine and Gourmet Extravagance gift basket has an impressive assortment of treats for your recipient. Every one of these wine baskets includes two bottles of wine, cookies, cheeses, crackers, chocolates, and more for an extravagant time. 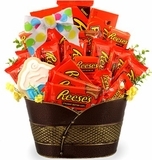 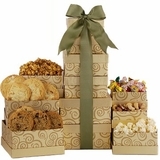 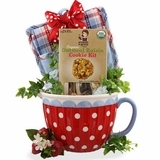 All of these decadent treats come in a decorative container that can be reused again. 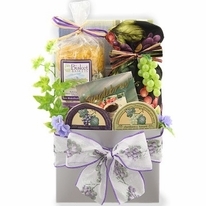 These wine and cheese baskets make a great gift for friends or clients alike. 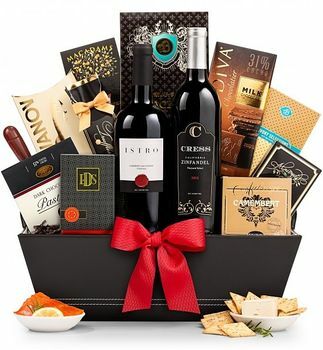 This wine gift basket needs an adult signature upon delivery because of their contents. 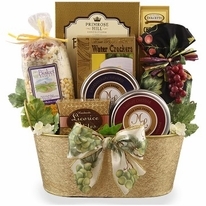 All of our wine and cheese baskets are made at the time they are ordered. 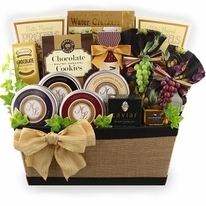 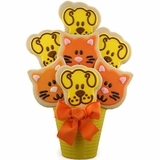 This way, your gift arrives fresh for your recipient.